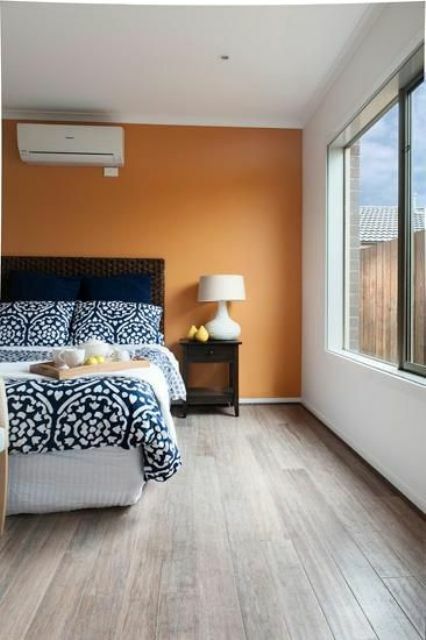 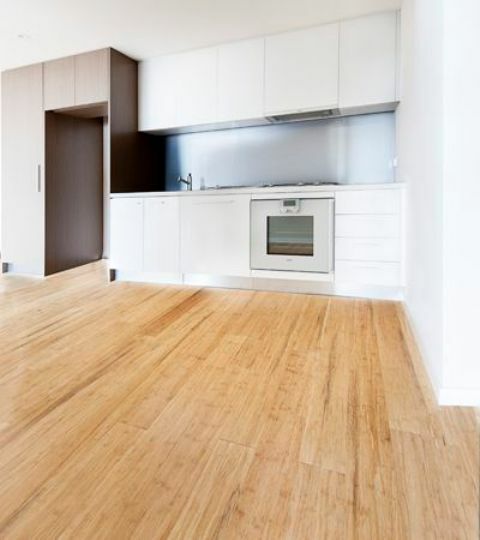 Bamboo is a type of grass which is used to produce covering materials that can be used for many purposes but today we’ll have a look at bamboo floors. 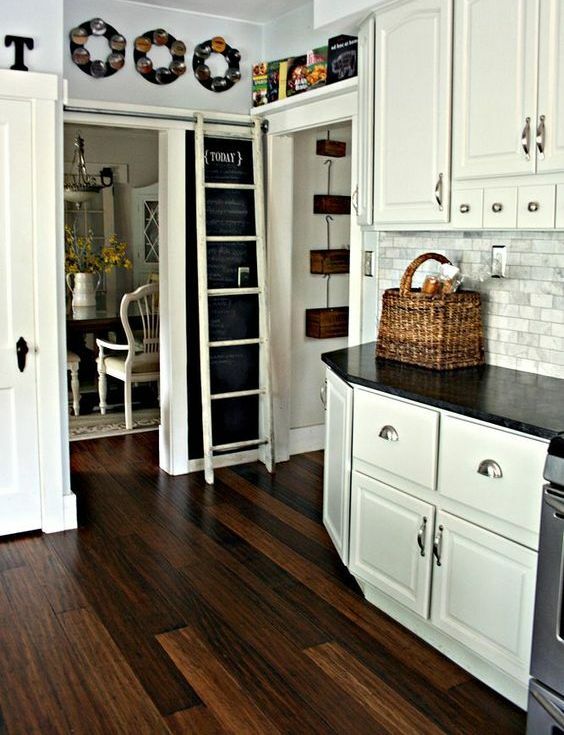 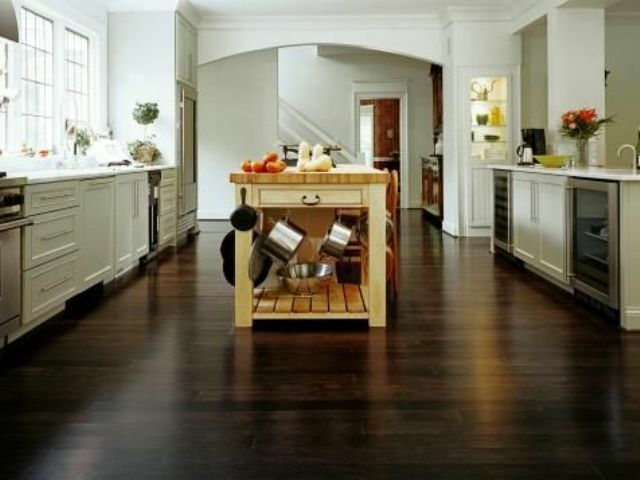 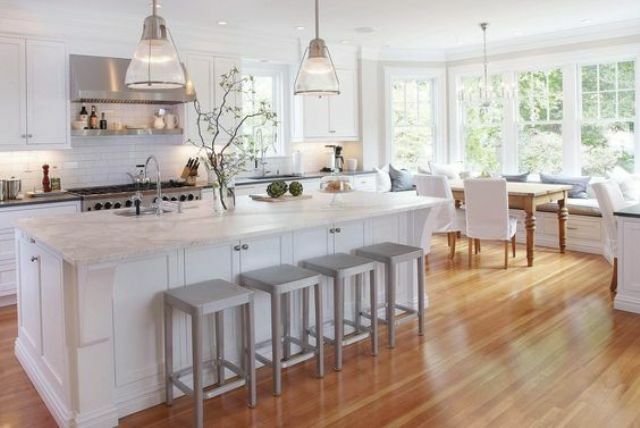 This is a great idea for any kitchen as bamboo floors are very easy to maintain, you can easily sweep or vacuum them, use various cleansers for them and they are rather water-resistant. 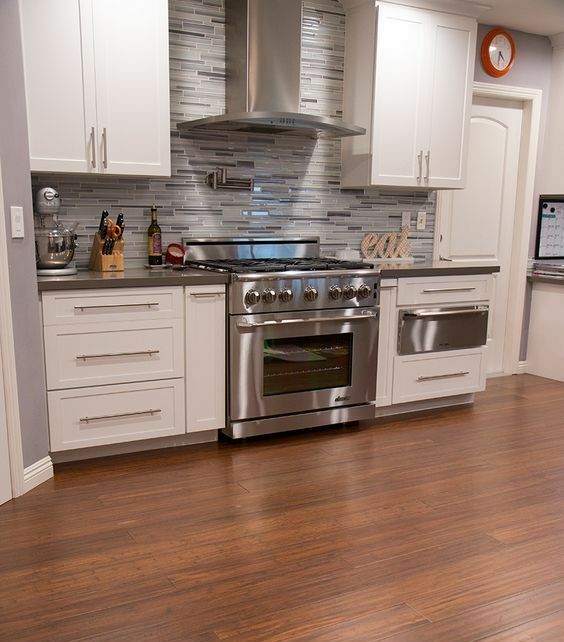 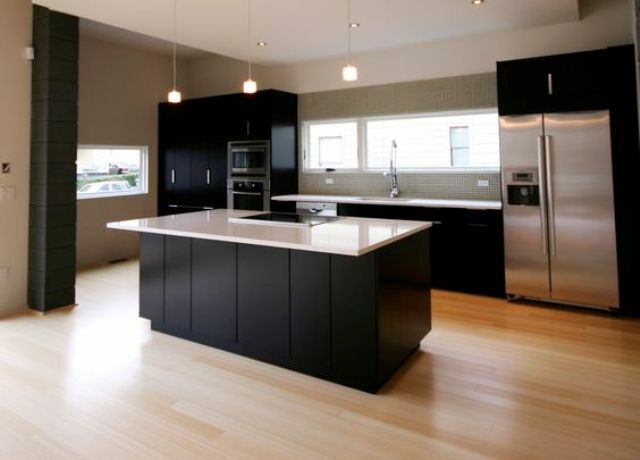 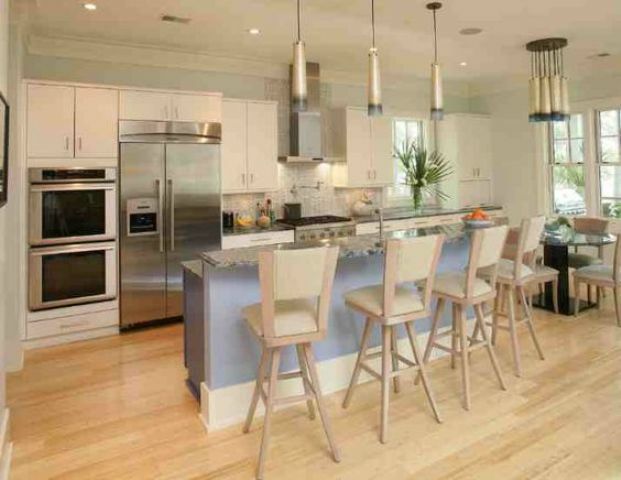 Bamboo is resistant to water damage, stains, and warping more than hardwood materials, which makes it perfect for kitchens where we often spill something. 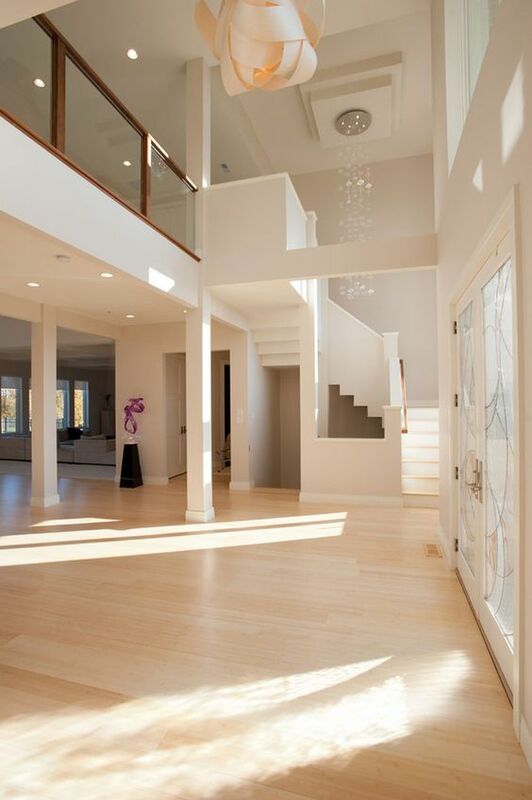 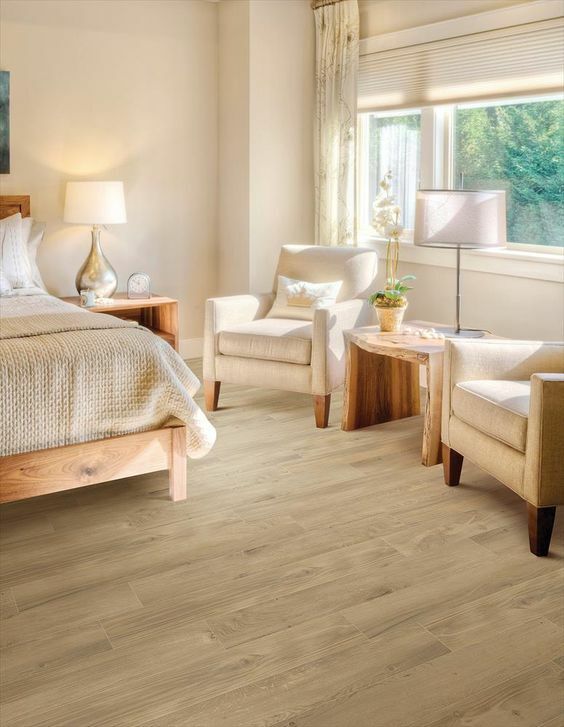 Another important feature of bamboo floors is durability: natural, un-carbonized bamboo that was properly harvested and manufactured can be as durable as red oak. 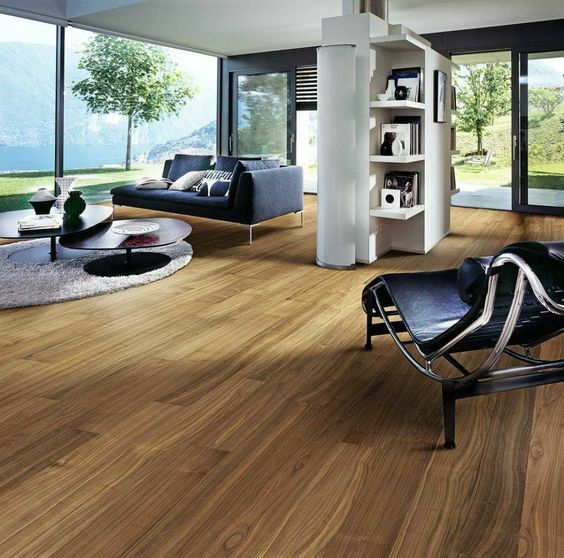 Strand woven bamboo can be manufactured even harder than that. 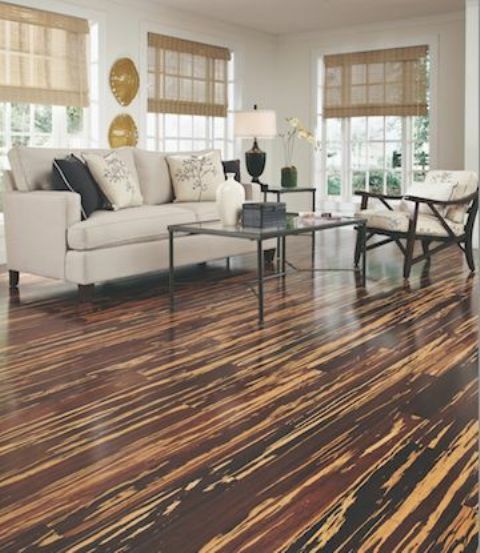 It’s a trendy material that can give any room an elegant look or even make a bold statement if you choose proper colors and textures. 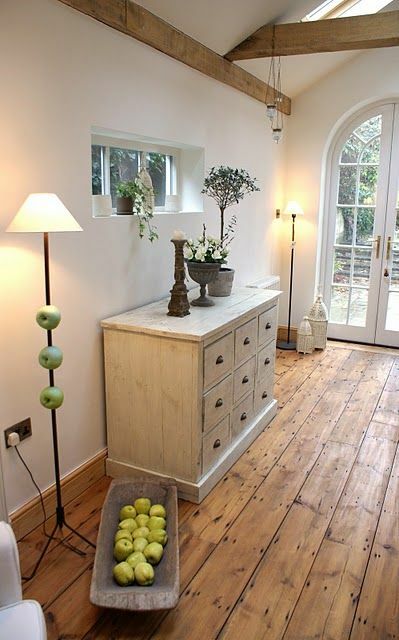 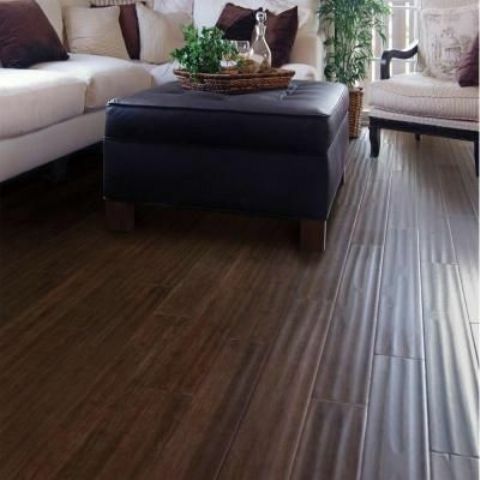 That’s why it’s amazing for decorating your living room, it will definitely stand out! 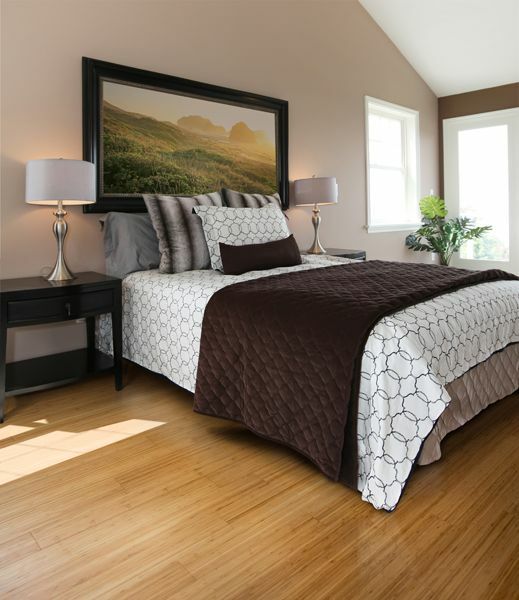 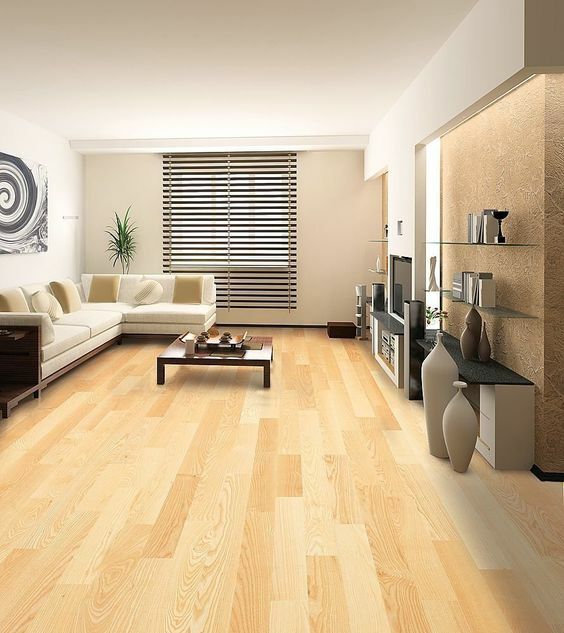 Bamboo floors cost the same as hardwood floors and look and feel similar to them but still have their own distinct look. 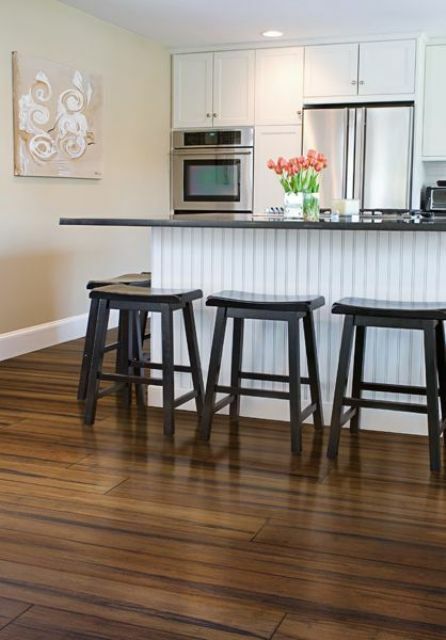 Bamboo floors can be easily be refinished, sanding it down and then reapplying the finishing coats to give it a fresh new look. 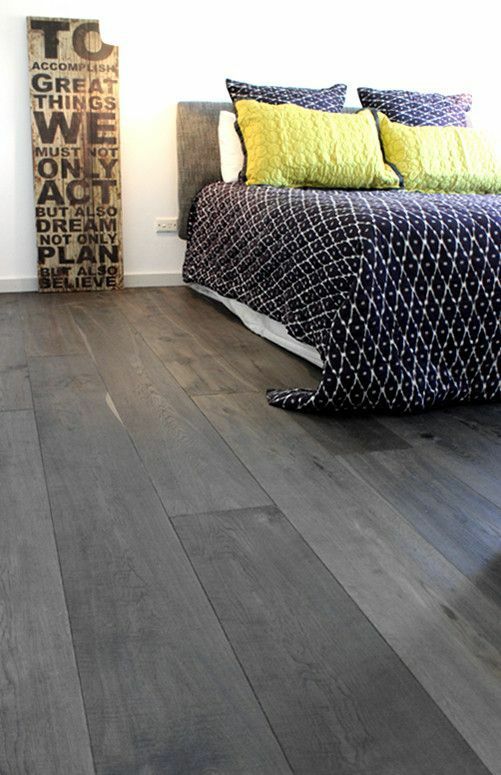 The amount of sanding that can be done will be determined by the thickness of the planks used. 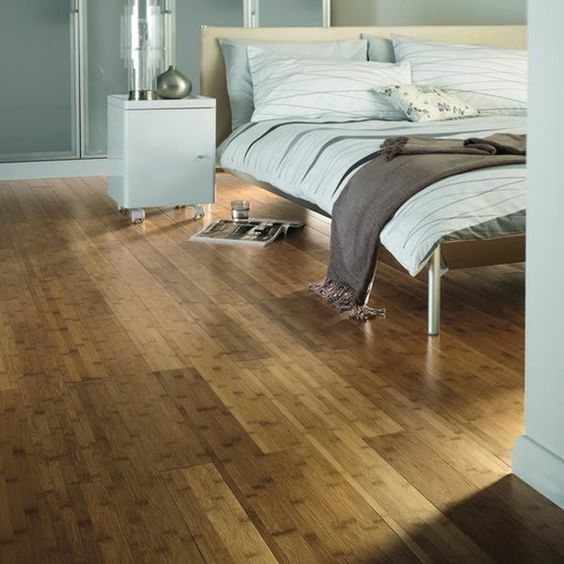 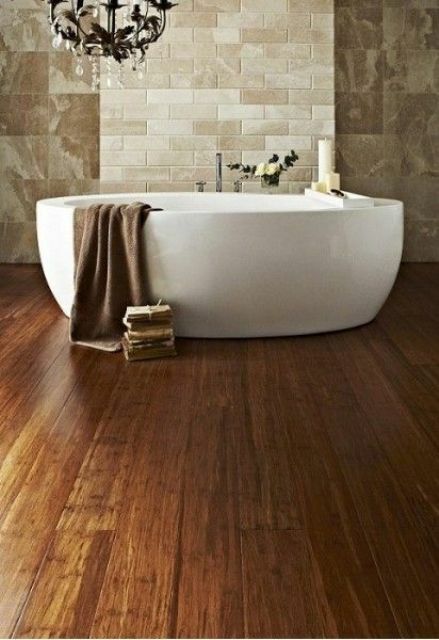 If you are ecologically conscious, there’s not better flooring than bamboo as it’s main advantage is being eco-friendly. 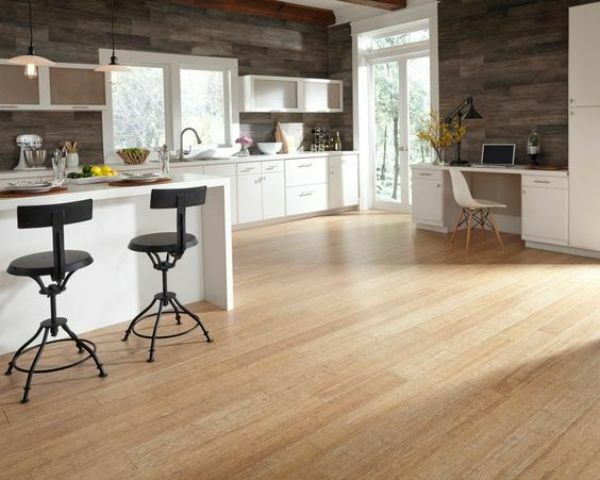 Bamboo floors are made of natural vegetation, which is a highly renewable resource that is able to grow to maturity in as little as three to five years. 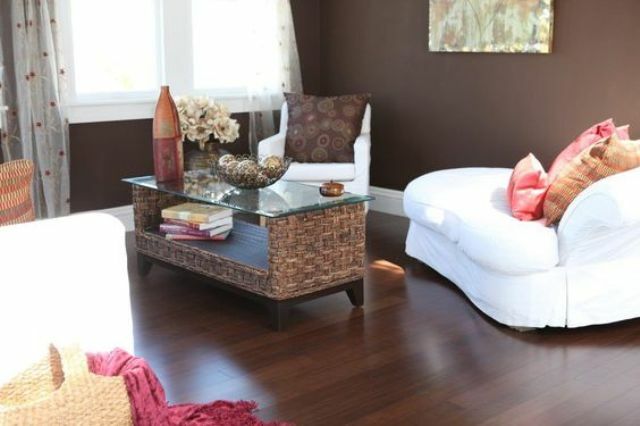 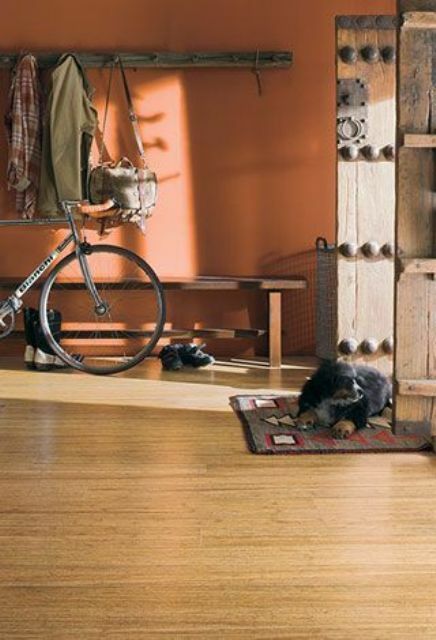 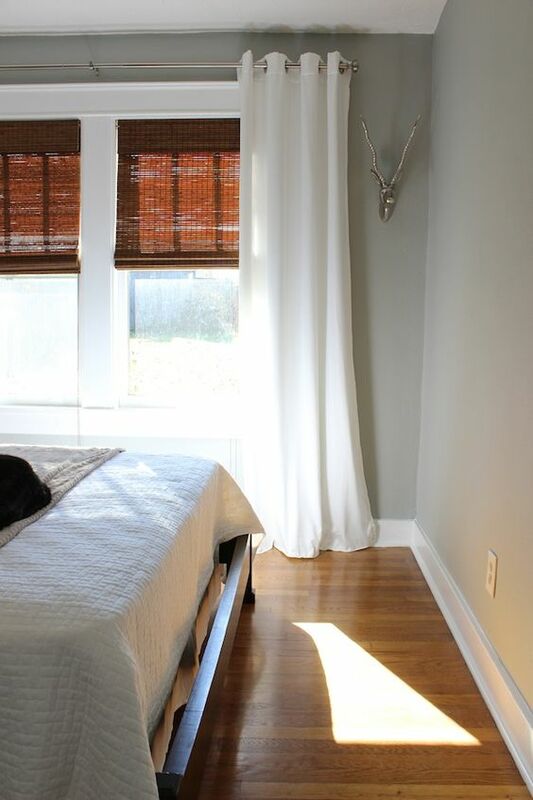 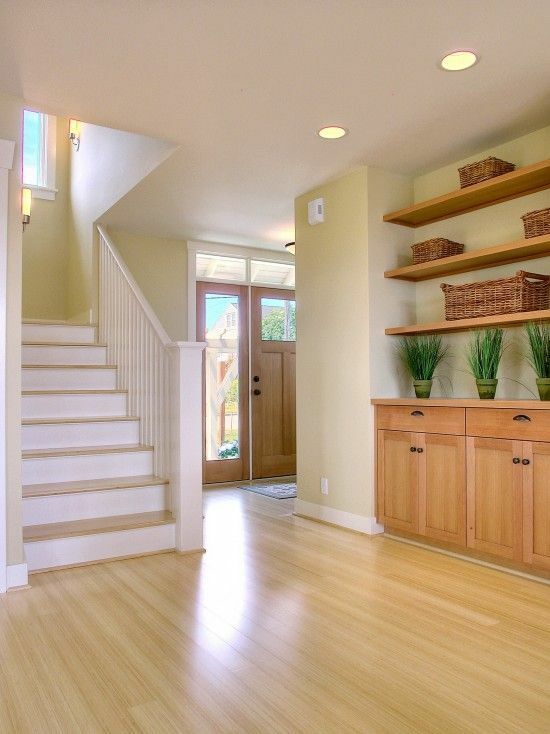 So if you care about breathing fresh air with no toxins, bamboo floors are one of the things to pay you attention to. 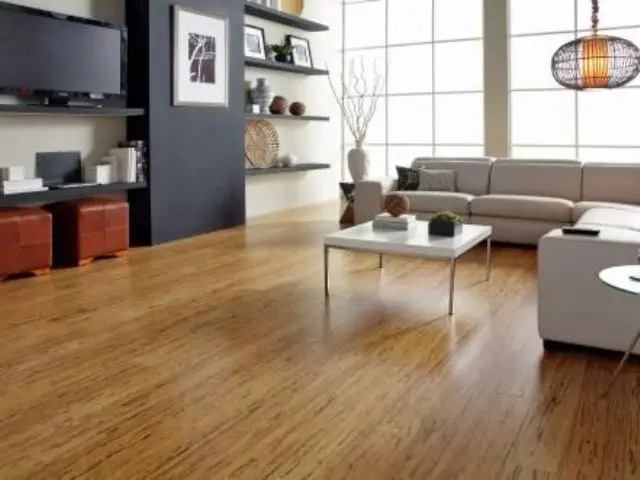 Bamboo is more resistant to water damage than the average hardwood but such excessive moisture will cause it to warp or will allow mold to grow. 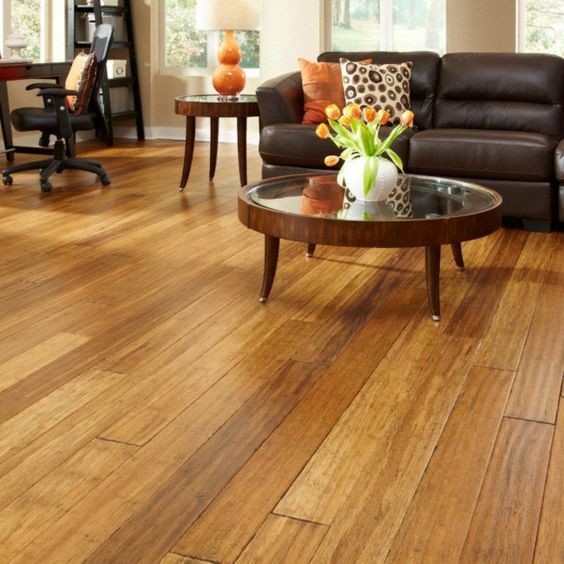 A flood can severely damage a bamboo flooring. 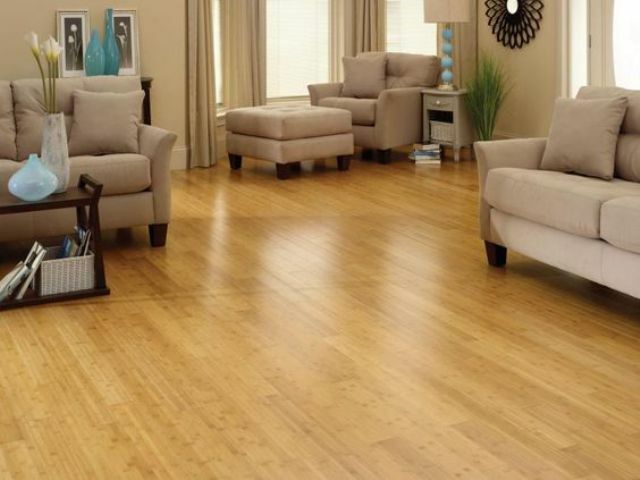 If the floor is installed in a very humid area, the moisture in the air can cause the floor planks to plump. 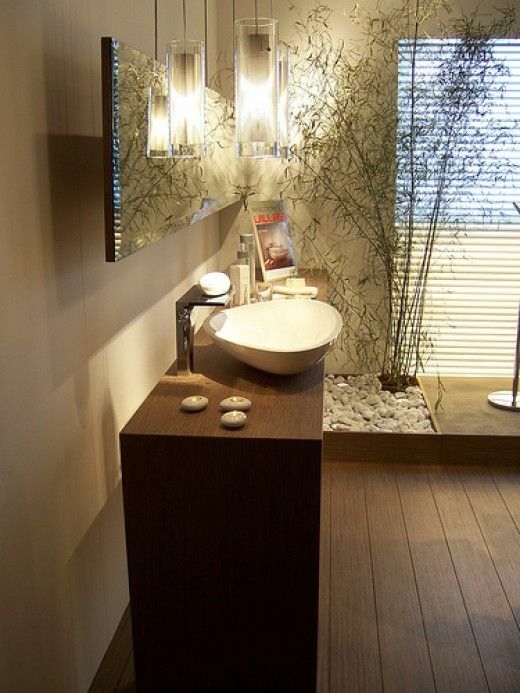 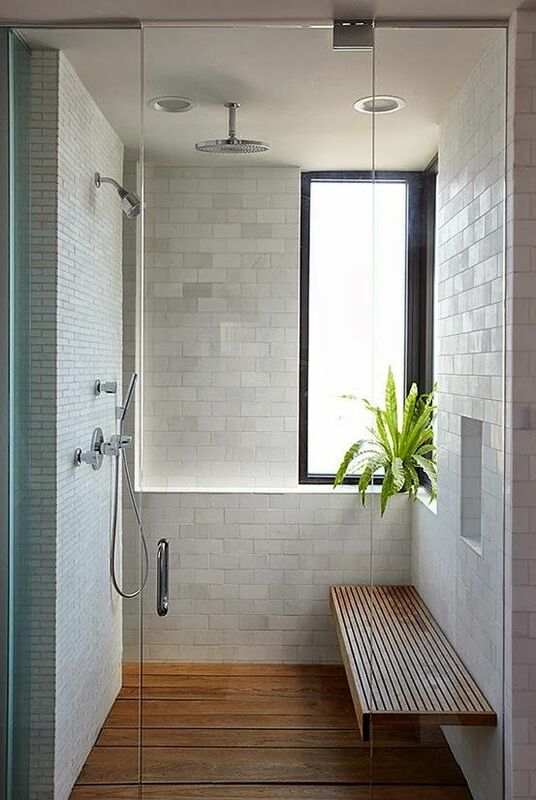 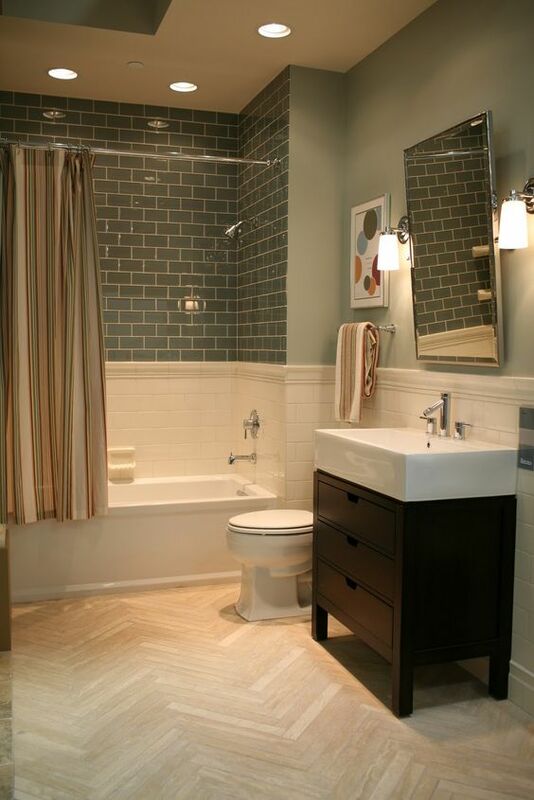 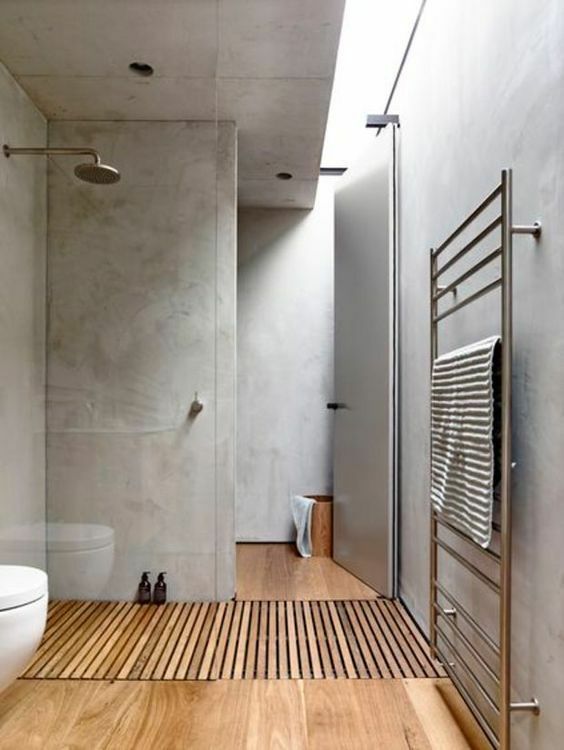 You should take these facts into consideration before choosing bamboo for bathroom floors but anyway they look luxurious and you know that decorating a bathroom with wood is a hot design trend. 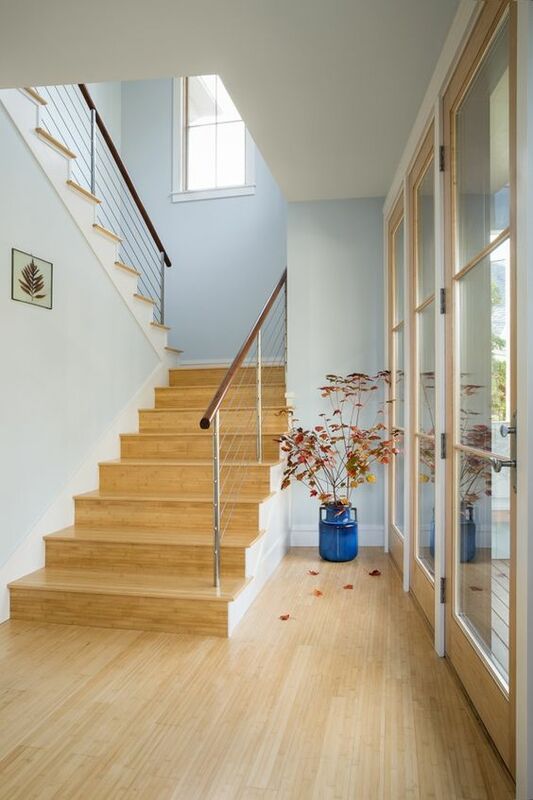 While natural un-carbonized, and strand woven bamboo flooring is relatively hard and durable; such floors are great for high-traffic areas, therefore, they are perfect for an entryway or a hallway. 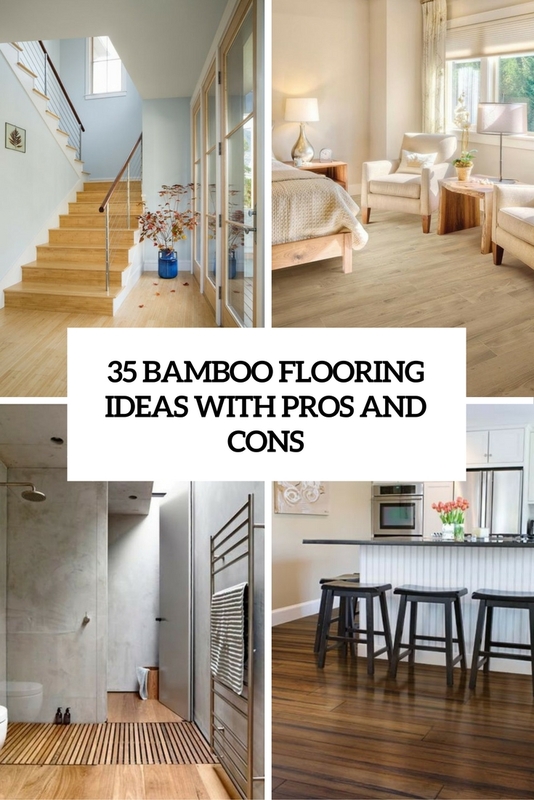 Light-colored bamboo flooring will give your entry a sleek modern look and dark bamboo planks will make it rustic but remember that darker bamboo is also softer. 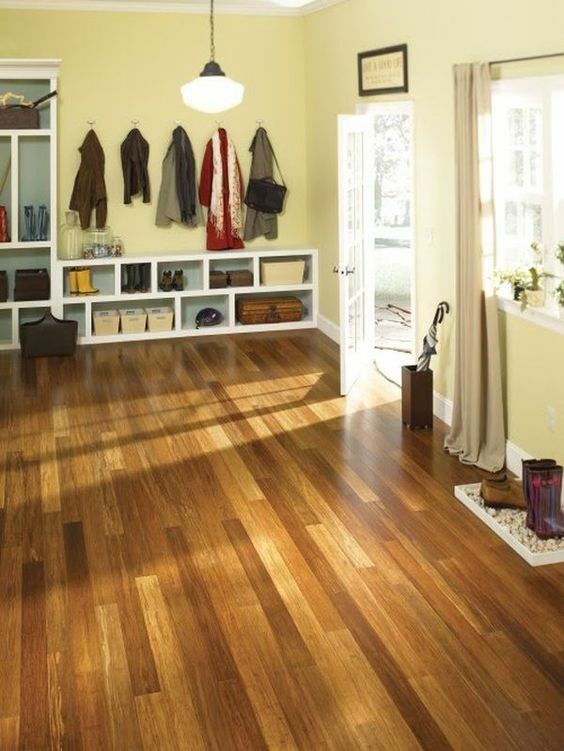 High heels, pet claws, and furniture legs can all damage the surface, so use some rugs to prevent it.